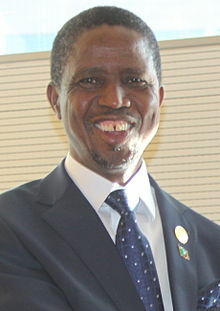 While Lusaka is flooding, PF regime president Edgar Lungu will today fly to Ethiopia, another waste of money as he is just going to take photos and talk and talk and make empty resolutions. He will attend the so-called African Union summit. But the AU is a useless organisation that can’t even raise its own money for operations. Even the building where it is headquartered in Ethiopia was built by China, yet this is the organisation that is supposed to be a symbol of African independence. According to his handlers, Lungu will have a busy schedule up to Tuesday but a good look at the programme shows that he will be involved in talk shows and nothing practical. According to government sources, for this trip alone, Lungu and his entourage will gobble more than $250, 000. This money can help flood victims in Lusaka and even repair some of the roads or police stations that have submerged.